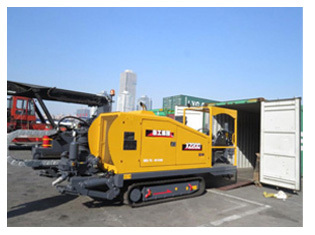 The customer from Brunei bought a XCMG XZ200 Horizontal Directional Drilling Rig. 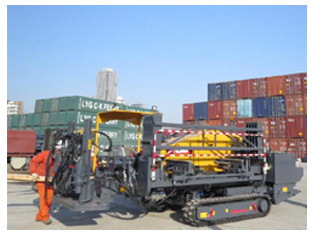 in September.Before customer contacted with FOTMA,he already has a well knowledege about the XCMG Horizontal Directional Drilling Rig and he was very satisfied with XCMG Horizontal Directional Drilling Rig. FOTMA as the professional construction machinery supplier always provides customer the quickest responce,most professional suggestion and highest level warranty.Finally cusomer bought the XZ200 Horizontal Directional Drilling Rig with cabin&AC,full pipe loading system, 100pcs of ￠60mm×7.5mm×3m and accessories such as pipe disconnector,pipe welders and bentonite XCMG Horizontal Directional Drilling Rig takes China 40% market and quality is the first class.Especially the model XZ200 which have been sold over ten years with thousands of units.The quality is very stable.